We’re almost to the end! 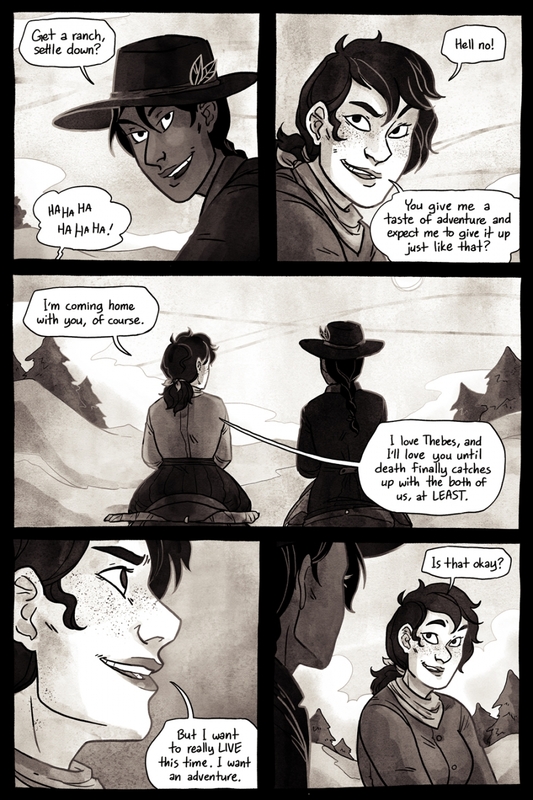 Next week will be the final page of GOTH WESTERN!! Don’t despair though, friends! I’m far from done making comics, and I’m working on getting this comic put together in a physical form in the not-too-distant future. I’m gonna go now before I get too emotional! See you next week! !